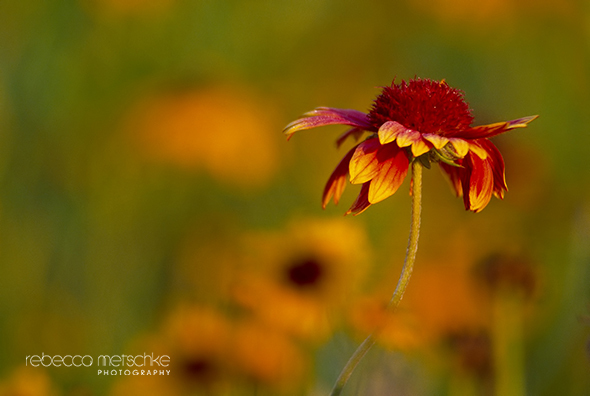 This week we travel back to my adoptive state of New Hampshire for one of my favorite wildflower images. I made this photograph about ten years ago, in a field about five miles from my house. Not long before, I’d learned a technique which enables the photographer to render flowers in an interesting way. I was looking for places where I could continue to make these types of photos. Essentially, what makes this work is an alignment which enables you to focus on a single bloom in the middle of the range, while rendering those flowers in front of and behind it as washes of color. A long lens and extension tubes are required – along with the patience to scan the field through the viewfinder while searching for flowers which are pristine, and enough color in the correct positions in front of and behind it to create the abstraction you’re after. It works especially well where flowers are abundant – like fields full of wild blooms. I’d been driving up to the White Mountains to get more practice under my belt during wildflower season and got hooked. The resulting images can be terrific! By mid-summer, I was searching for opportunities nearer to my home when I noticed fiery blooms beginning to open up in a field close by. The town had done some work in this area and apparently planted it with wildflowers upon completion of the project. It had been nothing but grass prior to that. I made this photo just as the sun came up and bathed the flowers with warm light. The beautiful things nature has to offer are sometimes closer than you think! It doesn’t always require jetting off to some long-away destination to see things like this. Ironically, the wildflower experiment did not last. After a few seasons, the town went back to mowing this area, and it was once again nothing but a patch of grass. This shot was used for one of our friendship gift designs. 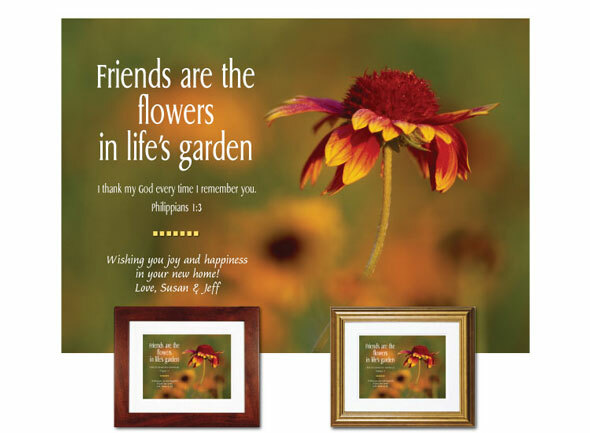 In fact, it was the first in the series based on the “Friends are the Flowers in Life’s Garden” theme. Stop by again next week as we travel somewhere else to discover another back story behind one of our images!